Principle No. 7: Cognitive behavior therapy aims to be time limited. Many straightforward patients with depression and anxiety disorders are treated for six to 14 sessions. Therapists’ goals are to provide symptom relief, facilitate a remission of the disorder, help patients resolve their most pressing problems, and teach them skills to avoid relapse. Sally initially has weekly therapy sessions. (Had her depression been more severe or had she been suicidal, I may have arranged more frequent sessions.) After 2 months, we collaboratively decide to experiment with biweekly sessions, then with monthly sessions. Even after termination, we plan periodic “booster” sessions every 3 months for a year. Not all patients make enough progress in just a few months, however. Some patients require 1 or 2 years of therapy (or possibly longer) to modify very rigid dysfunctional beliefs and patterns of behavior that contribute to their chronic distress. Other patients with severe mental illness may need periodic treatment for a very long time to maintain stabilization. Principle No. 8: Cognitive behavior therapy sessions are structured. No matter what the diagnosis or stage of treatment, following a certain structure in each session maximizes efficiency and effectiveness. This structure includes an introductory part (doing a mood check, briefly reviewing the week, collaboratively setting an agenda for the session), a middle part (reviewing homework, discussing problems on the agenda, setting new homework, summarizing), and a final part (eliciting feedback). Following this format makes the process of therapy more understandable to patients and increases the likelihood that they will be able to do self-therapy after termination. Principle No. 9: Cognitive behavior therapy teaches patients to identify, evaluate, and respond to their dysfunctional thoughts and beliefs. Patients can have many dozens or even hundreds of automatic thoughts a day that affect their mood, behavior, or physiology (the last is especially pertinent to anxiety). Therapists help patients identify key cognitions and adopt more realistic, adaptive perspectives, which leads patients to feel better emotionally, behave more functionally, or decrease their physiological arousal. They do so through the process of guided discovery, using questioning (often labeled or mislabeled as “Socratic questioning”) to evaluate their thinking (rather than persuasion, debate, or lecturing). Therapists also create experiences, called behavioral experiments, for patients to directly test their thinking (e.g., “If I even look at a picture of a spider, I’ll get so anxious I won’t be able to think”). In these ways, therapists engage in collaborative empiricism. Therapists do not generally know in advance to what degree a patient’s automatic thought is valid or invalid, but together they test the patient’s thinking to develop more helpful and accurate responses. When Sally was quite depressed, she had many automatic thoughts throughout the day, some of which she spontaneously reported and others that I elicited (by asking her what was going through her mind when she felt upset or acted in a dysfunctional manner). We often uncovered important automatic thoughts as we were discussing one of Sally’s specific problems, and together we investigated their validity and utility. I asked her to summarize her new viewpoints, and we recorded them in writing so that she could read these adaptive responses throughout the week to prepare her for these or similar automatic thoughts. I did not encourage her to uncritically adopt a more positive viewpoint, challenge the validity of her automatic thoughts, or try to convince her that her thinking was unrealistically pessimistic. Instead we engaged in a collaborative exploration of the evidence. Principle No. 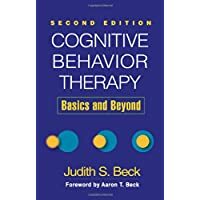 10: Cognitive behavior therapy uses a variety of techniques to change thinking, mood, and behavior. Although cognitive strategies such as Socratic questioning and guided discovery are central to cognitive behavior therapy, behavioral and problem-solving techniques are essential, as are techniques from other orientations that are implemented within a cognitive framework. For example, I used Gestalt-inspired techniques to help Sally understand how experiences with her family contributed to the development of her belief that she was incompetent. I use psychodynamically inspired techniques with some Axis II patients who apply their distorted ideas about people to the therapeutic relationship. The types of techniques you select will be influenced by your conceptualization of the patient, the problem you are discussing, and your objectives for the session. These basic principles apply to all patients. Therapy does, however, vary considerably according to individual patients, the nature of their difficulties, and their stage of life, as well as their developmental and intellectual level, gender, and cultural background. Treatment also varies depending on patients’ goals, their ability to form a strong therapeutic bond, their motivation to change, their previous experience with therapy, and their preferences for treatment, among other factors. The emphasis in treatment also depends on the patient’s particular disorder(s). Cognitive behavior therapy for panic disorder involves testing the patient’s catastrophic misinterpretations (usually life- or sanity-threatening erroneous predictions) of bodily or mental sensations. Anorexia requires a modification of beliefs about personal worth and control. Substance abuse treatment focuses on negative beliefs about the self and facilitating or permission-granting beliefs about substance use.